We have a team of professional auditors and food technology consultants available to assist clients in each state of Australia. Our team of professionals are registered through Exemplar Global (RABQSA), the Australian personal certification body, and all are professionally qualified and insured. Our team are available nationally to assist you, and work with you on site, on your issues and projects. Having assisted over 900 clients with food safety management, HACCP, labelling, training and changing requirements and standards. Gary has an enviable reputation in the food industry as a knowledgeable food safety specialist. Gary has been Managing Director of Correct Food System for over 10 years, having worked in food technology, food safety and all aspects of healthcare, food manufacturing and food service previously. He been involved with the Cook Chill Council (now the AIFST National Cook Chill Group) for over a decade, and written many industry guidelines and codes of practice. He is a leading nationally qualified food safety auditor, qualified to audit many schemes ( RABQSA, WQA, SQF ,CLG, BRC, YUM etc) in a vast array of product scopes. Gary is recognised his peers and industry as a leader, often being approached by the media to discuss food technology and food safety issues, including, ABC Radio, Foxtel's Channel V, Channel 7's Today Tonight. 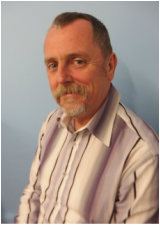 Gary is a National Food Safety Auditor, level 4 high risk, with a extensive range of industry scopes. He is an approved third party regulatory auditor in NSW, Vic and WA. Gary is also a qualified workplace trainer and assessor working for Correct Training Systems, the associate Registered Training Organisation ( ﻿RTO 88118﻿ ) to Correct Food Systems. Gary has extensive specialist expertise in the meat industry, smallgoods, cook chill processing including sous vide , food service for vulnerable populations, the beverage industry, high pressure pasteurisation, and food microbiology. Gary's Exemplar Global Auditor certificate can be downloaded here. Trina Tromp is Correct Food Systems Key Client Consultant. Her extensive experience as a food technologist is appreciated by clients as she is highly practical and efficient in her approach. Trina is a National Food Safety Auditor, level 4 high risk, with a wide range of industry scopes. Lisa combines her role of Operations Manager, with project management, auditing and training activities for the correct group of companies. Qualifications and experience in commercial catering, aged care and food service allows Lisa to consult to a number of clients, assisting them with process and service improvements. Lisa is a National Food Safety Auditor, level 4 high risk, and an approved third party regulatory auditor in Victoria. 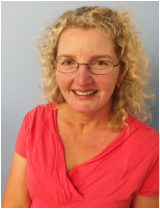 Tina has over twenty five years experience as a food technologist and consultant. Tina is a certified auditor and qualified trainer. Her clients appreciate her calm positive manner. - a food service and meal manufacturer. Alan has a wealth of experience in managing food safety for retail. He has managed and advised on food safety regulation, legislative compliance and specific food safety and food labelling requirements for a major Australian food retail company. Alan also has experience in consulting and auditing a wide range of businesses. Kim Staples is a dedicated food science professional with strong skills in domestic and global regulatory affairs and quality systems. She has more than ten years experience working in food manufacturing. With experience in small, medium and large wholesale and FMCG settings, including in production, sales, as a food production technologist, quality manager and regulatory affairs, she has met specific requirements of customers, including internal, private label and for export. Cheryl operates her own independent business as a food safety auditor and consultant in Western Australia. Cheryl assists Correct Food Systems as a subcontractor for some of our client projects in Western Australia. Natasha has a Degree in Applied Science and has worked in a Quality Assurance role for major food manufacturers. Natasha assists our Queensland clients with auditing, food service and retail inspections and quality assurance.